The internet has, in the recent ten years or so, become this gigantic world in itself and there are people who look to spread malware and viruses all over the internet and its users – just for their personal pleasure. Sad as it is, one can never be too sure about the safety of a particular site. There is not much good Anti-Malware software in the market but customers can rest assured that the All-new Secure Hunter Anti-Malware software is amongst the best services in the market right now.Sad as it is, Antivirus’ maker has declared that Antivirus is dead and can never be revived. In today’s day and age, it is necessary to download additional security measures since it is impossible for PC-installed applications to catch viruses. So, the Anti-Malware software will be the best complement to the existing anti-virus software in the computer. Since Anti-Malware software are online, they are frequently updated and it is made sure that they know how to tackle the latest bugs. Secure Hunter is the perfect Anti-Malware software as it will be frequently updated. The main priority of the Secure Hunter team is to keep the customer’s PC secured and to do that, the makers are even willing to sell their product free of charge! The Anti-Malware software will work ’round the clock to ensure complete protection when the users are using the internet. 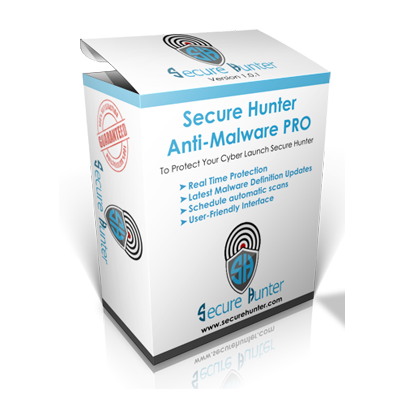 Secure Hunter Anti-Malware software can be purchased in two different packages – the free package, the PRO package and there are other free programs available too. Through the scan, one will instantly be able to see which malware is hunting up the computer and the users will be immediately able to eliminate the damaging content. It also protects the user from identity theft by hiding the user’s true identity when they are online. It can do a hidden scan and a complete scan and is available instantly after it has been downloaded initially. The best part about the experience is that Secure Hunter Anti-Malware can be downloaded for free if people register now. Customers are advised to register and then wait for the release of the software and to frequently go through the website’s Beta page to look for updates. Secure hunter has been operating since 2005 and has offered up great Web solutions and protection software for its customers.